While waiting for a delayed airplane, old Henry Dailey, the Black's trainer, tells young Alec Ramsay a story of his own youth, travelling with his brother, Bill. Bill Dailey's talent as a horse-whisperer was unmatched in the days before the automobile and young Henry tells of an unscrupulous con-man who mistreats horses into behaving temporarily. 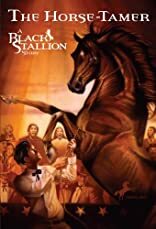 Bill is determined to show that the man is a fraud, but can he unmask the con without getting hurt?Walter Farley experimented with many genres of writing and here, in his only foray into historical fiction, he weaves a fascinating tale of life when horses were the primary means of transportation.